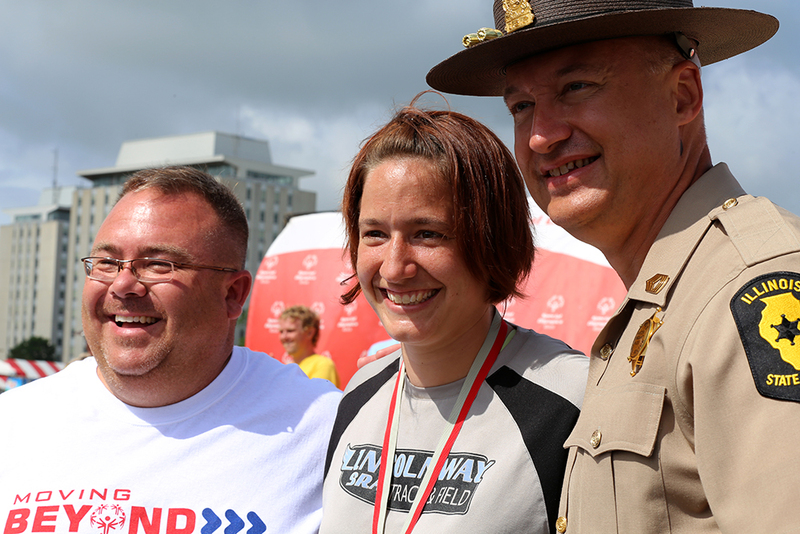 On Sunday, June 14, Michelle Kendall competed in the pentathlon and 4×400-meter relay at Special Olympics Illinois Summer Games, earning gold medals in both events, capping off a more than 15-year career in Special Olympics. 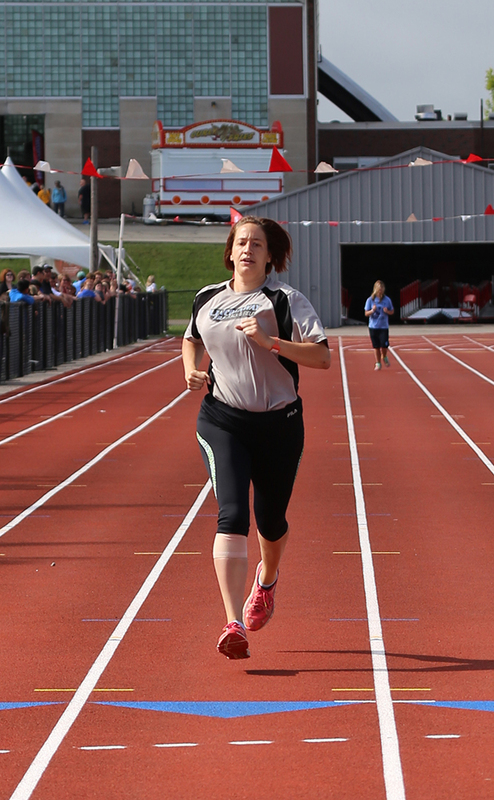 The 29-year-old from Manhattan, IL, has decided to retire from competition and looks forward to returning next year as a track & field and volleyball coach for her local agency, Lincolnway Special Recreation Association of Frankfort. 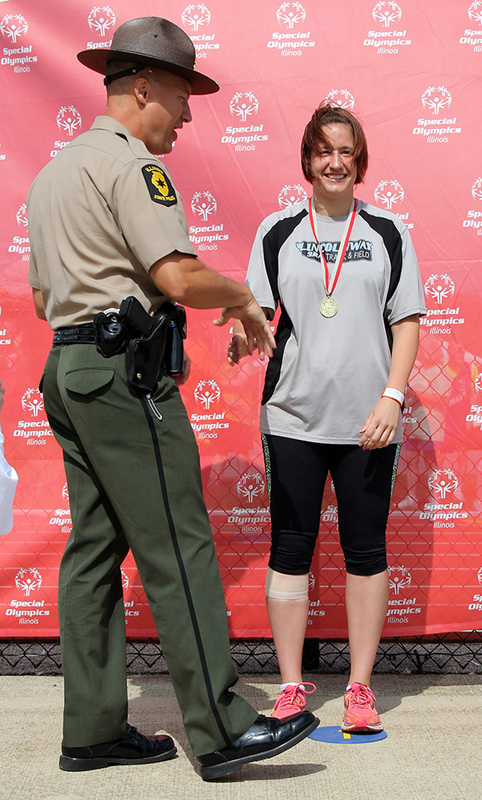 It’s a bittersweet decision for Michelle, who first competed in Special Olympics track & field events while in junior high school. But, she’s looking forward to taking a small break before putting her special understanding of how athletes with intellectual disabilities learn to use. She credits her LWSRA coach, Ralph Krauss, with showing her what a good coach is. “He would break down the skills and take pictures of us doing it. He’d show us what we were doing wrong and then show us how to fix it,” says Michelle. She admits that at nearly 30, her knees aren’t what they used to be when she was younger. And, she won’t miss practicing 90 minutes one or two times a week. But, Michelle has plenty to keep her busy until next year’s track & field season begins again. She works full time at a day care center caring for infants. “I love the babies,” she says. And, she has her own business making jewelry with glass beads. “It’s really calming for me,” she says. Still, she admits she’ll miss the competition a little. Come next spring, she’ll be back at the track wearing a new uniform – that of coach.